The Cyclo-ssage Massage Therapy System can be used to complement and support existing treatment regimes in surgery’s and clinics. The Cyclo-ssage Massage Therapy System is used extensively by GP’S and various health Professionals, including Physiotherapists, Reflexologists, Chiropractors, Sports Therapists and in beauty clinics, spas and gyms. 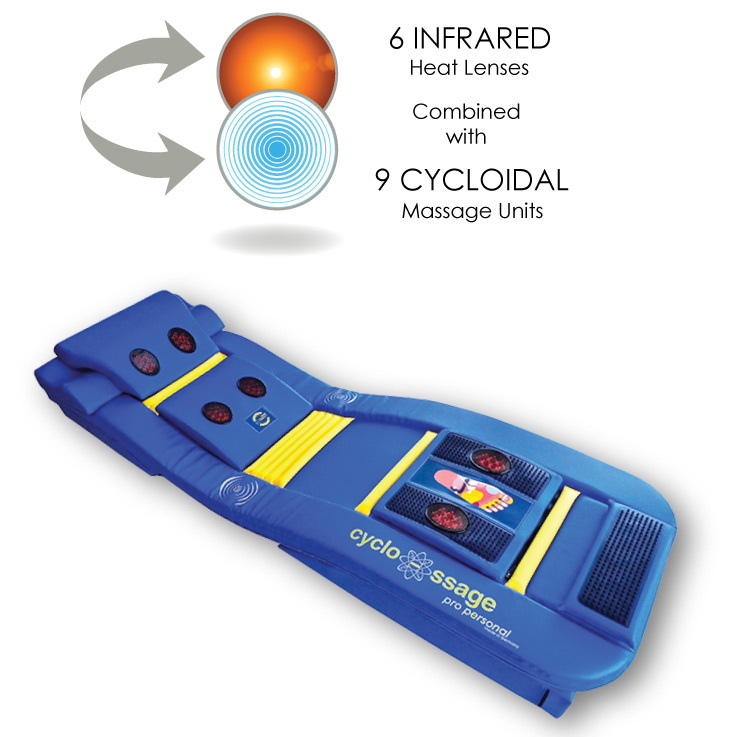 Using a combination of oscillating massage and Infrared heat the Cyclo-ssage Massage Therapy System will increase blood circulation providing accelerated healing whilst relaxing muscle spasm and alleviating ache and pain. The Cyclo-ssage Massage Therapy System is a medically approved device and will alleviate the secondary conditions associated with a wide range of health conditions. It is often effectively used as a viable alternative to prescribed medication such as painkillers. The Cyclo-ssage Massage Therapy System can be used alongside existing therapy and massage treatments and will give you the opportunity to deal with more clients and time manage your diary more efficiently. The fully Portable Cyclo-ssage Massage Therapy System will also give you the freedom to choose when and where you treat your clients and patients. 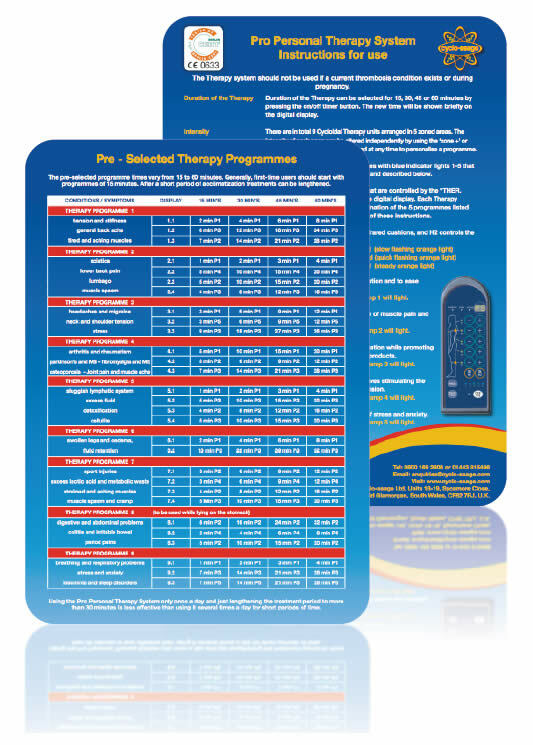 The Therapy System is an approved medical device manufactured in Germany to the highest standards, receiving the Berlin Certification for medical devices and the medical product conformity CE 0633. The Cyclo-ssage Massage Therapy System whilst benefitting your clients will also free up some of your valuable time and therefore giving you the opportunity to generate additional income. Training and support are provided so that you can make full use of the benefits that the Cyclo-ssage Massage Therapy System can offer you and your clients.